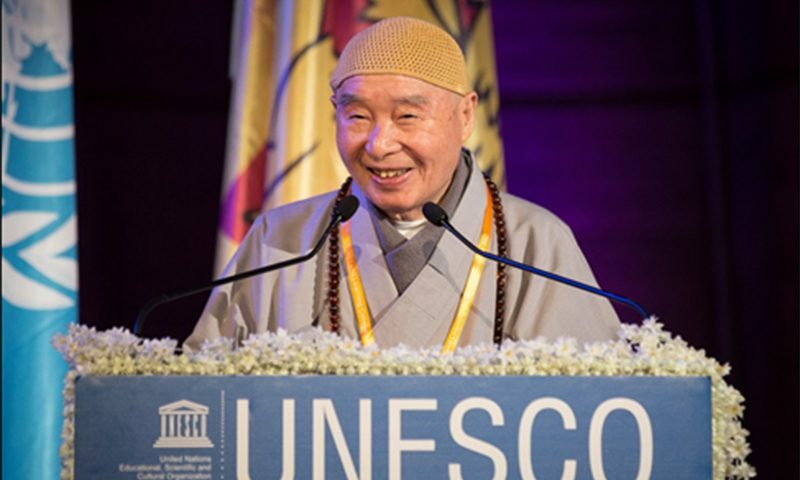 For the sake of world peace and the happiness of all, Venerable Master Chin Kung, Permanent Honorary President of the Association, advocates “Education First”. He said, "Education is essential for lasting peace and prosperity. 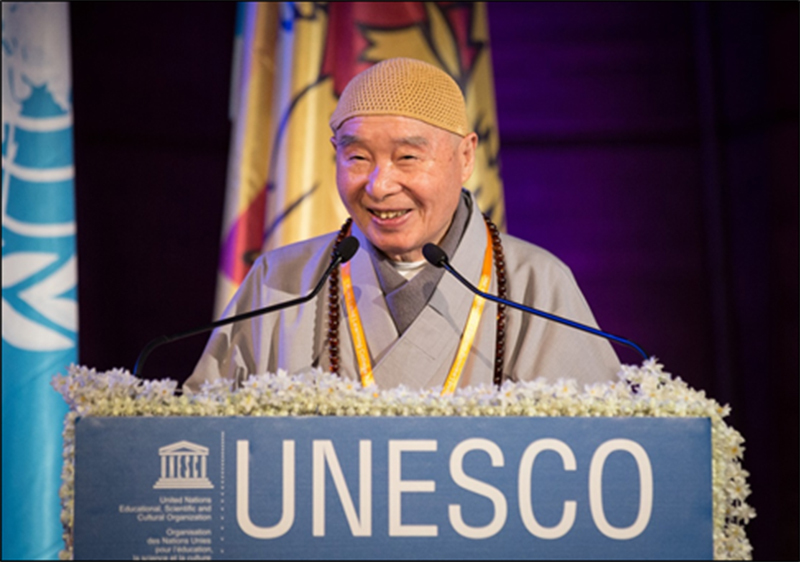 All Gods are One and all faiths are brothers like branches of the same tree.” The advocation echoes the motto of the UNESCO -- “Building peace in the minds of men and women”. Different countries, regions, cultures, ethnicities, religions, diverse groups and communities make our planet a beautiful homeland for everyone. A world in peace and harmony is the lasting aspiration of all humanity. The civilizations are abundantly enriched with diversity and the thriving vitality of the world can be found in multiplicity. A harmonious world is a goal resulted from the common wish of all people, and it will be achieved when all affinities sync in harmony. “One Belt, One Road” is a great strategy for worldwide economic and cultural prosperity. What we need now is the spirit and wisdom of harmony to resolve conflicts, to maintain world peace and stability, and to build a shared future for the global community with dedication and wisdom. May all people fulfil their own destiny in life. May the universe enjoys everlasting peace. * The timetable may change according to circumstances and any announcements during the ceremony. The registration begins on April 10, 2019 until June 7, 2019, subject to seats availability. We will respond to your application through emails from May 10, 2019. For the applicants who do not live in France, please be informed that you would better finish your visa application and hotel reservation before submitting your application. For safety reasons, we will only consider applicants around 10-80 years old. Senior citizens and the disabled ones are suggested to arrange your personal accompanies beforehand. The organizer will provide each attendant an entrance pass. An early arrival is necessary for finishing security check at the entrance of the UNESCO. No one will be allowed to attend the ceremony without the entrance pass. Free lunch will be served. Please bring your Haiqing Buddhist Robe if you have any. Please bring your water bottles and handkerchiefs for environmental protection. On 9 June (Sunday) at 9:40, the Ceremony of Taking Threefold Refuge in Triple Gem will be held. If you want to attend the ceremony, you may either mark your intention in your application form or submit your application on 9 June at the Registration Counter before the event.